A family of five siblings inherited their childhood home. The house had been in the family since 1957 and they wanted to sell it to settle their father’s estate. The house was quite old, but it was in decent condition overall. However, the kitchen and bathroom were in poor condition and needed to be repaired. Also, the house had a very old furnace that needed replacement. The family wasn’t willing to spend much money on the old house. So, they looked for real estate cash buyers in Michigan and found us. 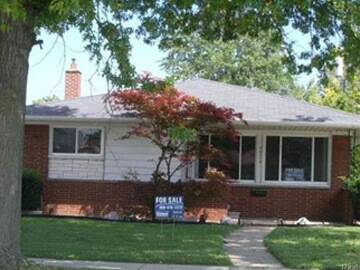 They gave Detroit Cash For Homes a call and received a fast, all-cash offer within 24 hours. We estimated and offered a sale price to buy the house AS-IS. The family agreed to the price and received a written offer from us, with an agreement to close the deal within 14 days. We worked with the family’s attorney and closed the probate estate sale in Detroit within 10 days. The family settled the estate without any hassle and through our fast process, they found the right buyer and sold their house without spending too much on it. If you also want to sell your house fast for all cash in AS-IS condition and need to settle your estate under probate, call Detroit Cash For Homes at 1-877-785-9801.